Located in beautiful Vancouver, B.C., Canada, Langara College provides University, Career, and Continuing Studies education to more than 21,000 students annually. With more than 1,700 courses and 130 programs, we offer bachelor’s degrees, associate degrees, diplomas, certificates, and citations, as well as post-degree diplomas and certificates. Langara’s expansive academic breadth and depth allows students of all ages, backgrounds, and life stages to choose their own educational path. Langara is also known as house of teachings, a name given to us by the Musqueam people on whose unceded traditional territory the College is located. Langara is one of BC’s leading undergraduate institutions providing University Studies, Career Studies, and Continuing Studies programs and courses to more than 21,000 students annually. Located on 49th Avenue in Vancouver between Main Street and Cambie Street, most Langara programs and courses are held at the main campus. Our beautiful campus is located along the Ontario bike lane and just a few minutes walk from Langara-49th Ave SkyTrain station. Combine studies and experience with the excitement of travel. Our Exchange and Field School programs allow you to choose credit or non-credit, a range of durations, and a wide assortment of destinations. The academic requirements for admission to Langara can be met by successful completion of a BC secondary program (Grade 12) or the equivalent; OR be at least 19 years of age by the first day of the first semester of attendance; OR successful completion of an A.B.E. (Adult Basic Education) or G.E.D. (General Educational Development) program. BC students in Grade 12 who have demonstrated academic excellence may apply for limited admission to university-transfer or open career courses while attending secondary school. Students who have completed the International Baccalaureate (IB) Diploma or have passed an Advanced Placement (AP) Examination administered by the College Entrance Examination Board may be eligible for college credit. Please refer to the BC Transfer Guide or contact Registrar and Enrolment Services for further information. Students planning to enrol in a first-semester English or Communications course or certain Biology, Economics, or Philosophy courses must take the Langara English Test (LET) or BC Language Proficiency Index Test (LPI) prior to the semester in which they plan to register. Students who have at least 80% in BC English 12 or BC English Literature 12 or BC English First Peoples 12, or equivalent are not required to write the LET or LPI. Applications open October 1st and depending on the program, may remain open until the program is full. Business, Nursing and Engineering programs have May deadlines. $40 for domestic applicants and $155 for international applicants, payable by credit card online. Apply online through the Education Planner BC website. The neighbourhoods surrounding Langara College offer many rental housing options for students. Langara does not offer on-campus residence-style accommodations. Langara College welcomes students from all over the world and our passionate International Education team supports and values each international student as an individual. 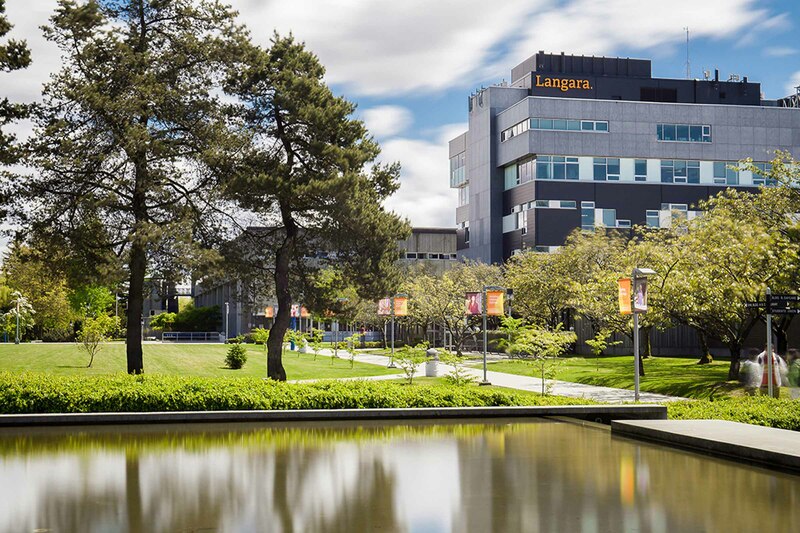 As Canada’s premier University Transfer (UT) institution, Langara allows students to begin their university studies at a college (2 years) before transferring to a university to complete their degree (2 years). With 90+ programs and more than 1,000 courses to choose from, Langara also offers one of Canada’s best ESL programs and lower tuition rates than university.